Last week the Bank of England’s dire warnings on the outcome of a no-deal Brexit dominated the headlines. The Bank was accused of stoking “Project Hysteria” with its forecast for growth, house prices, sterling, interest rates and inflation. This week these forecasts, as well as those the Government published alongside them, were scrutinised more closely by the Treasury Select Committee. 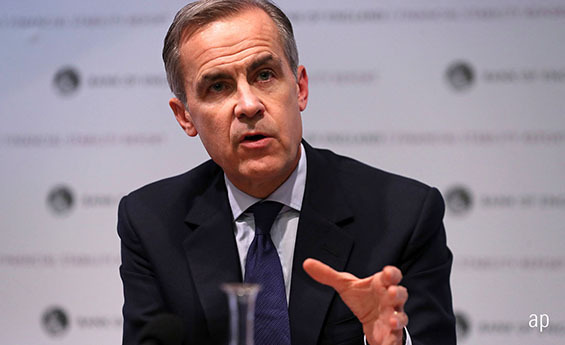 Bank Governor March Carney was first up before MPs, and appeared exasperated at suggestions that the Bank's scenarios were in some way hastily prepared, or designed to scare MPs into backing Theresa May’s Brexit deal. The same day, Carney’s predecessor Mervyn King also featured in the press, discussing the Bank’s political neutrality. "There’s no exam crisis. We didn’t just stay up all night and write a letter to the Treasury Committee. You asked for something that we had, and we brought it and we gave it to you," Carney said to the Committee. Carney stressed that scenario calculations had taken two years and been produced by 150 staff across the Bank, among those, 20 of its most senior economists, using thousands of models. The Governor warned British consumers should expect shopping bills, most notably food costs, to rise under all Brexit scenarios modelled by the Bank: in the case of a no-deal or “disorderly” Brexit, bills would rise 10%, and under a smoother departure from the EU, bills would be around 6% higher. In this case shoppers would most likely switch products to cheaper alternatives. In all scenarios, sterling is likely to fall over the next five years, Carney reiterated. The Bank’s Governor also touched on the future trading relationship between the UK and EU in financial services – some of the “passporting” rights in which companies can offer products across the EU will inevitably be lost, but some relationships will be retained under “equivalence” regimes. He insisted that it’s in the interests of both the UK and EU to maintain close links, and that “everybody loses” if these trade ties are broken. Hammond also referenced the Bank’s “reasonable worst case” scenarios when asked why the Treasury’s forecasts are not as severe as Threadneedle Street’s. Like Carney, the Chancellor rejected the idea that these assumptions had “been plucked out of thin air” and insisted that the models were long-term ones. HM Treasury’s Chief Economist Clare Lombardelli added that “these are an ambitious set of assumptions” over a 15-year period. The Chancellor was asked to clarify his comments made to the BBC last week that people would be “slightly” worse off under the Government’s Brexit plans. He said that the economy would be smaller when the UK leaves the EU, rather than individuals. Like Carney, Hammond also predicted that the close partnership between the UK and EU will continue, particularly in financial services. “There’s clearly a way forward for financial services co-operation,” he said, and that the City’s expertise and advice will still be valued in Brussels. What no-deal planning has the Treasury done, Hammond was asked, and how would the Government work with the Bank of England? He admitted that the Bank’s range of responses is limited by already low interest rates and QE, and that it would fall to the Treasury to respond with fiscal policy, in terms of tax cuts or spending increases. But the UK’s high debt-to-GDP ratio would limit this, he warned. The UK economy would just have to adjust, he said, with firms having to shift to different markets. Both the Governor and Chancellor are working on the assumption that a no-deal Brexit is the least likely outcome of events of the next few months. But with the Prime Minister struggling to find enough support for her key Parliamentary vote on Tuesday December 11, all scenarios are currently in play.